Posted May 1, 2015 by Marisa Hess & filed under Holiday, News. 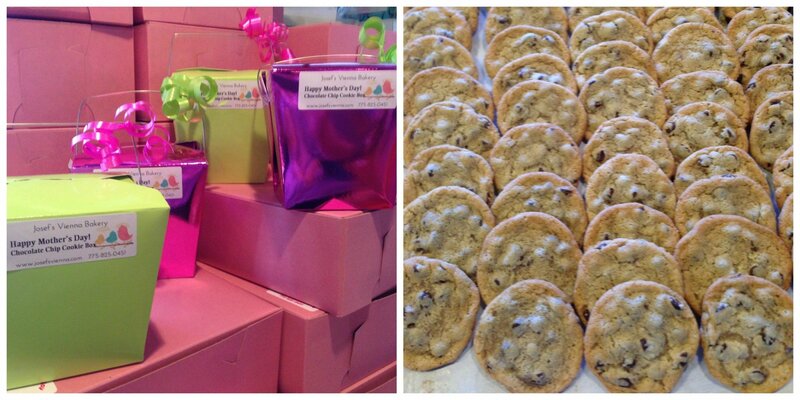 The day to celebrate mom is quickly approaching and we have shelves packed with Mother’s Day Goodies! 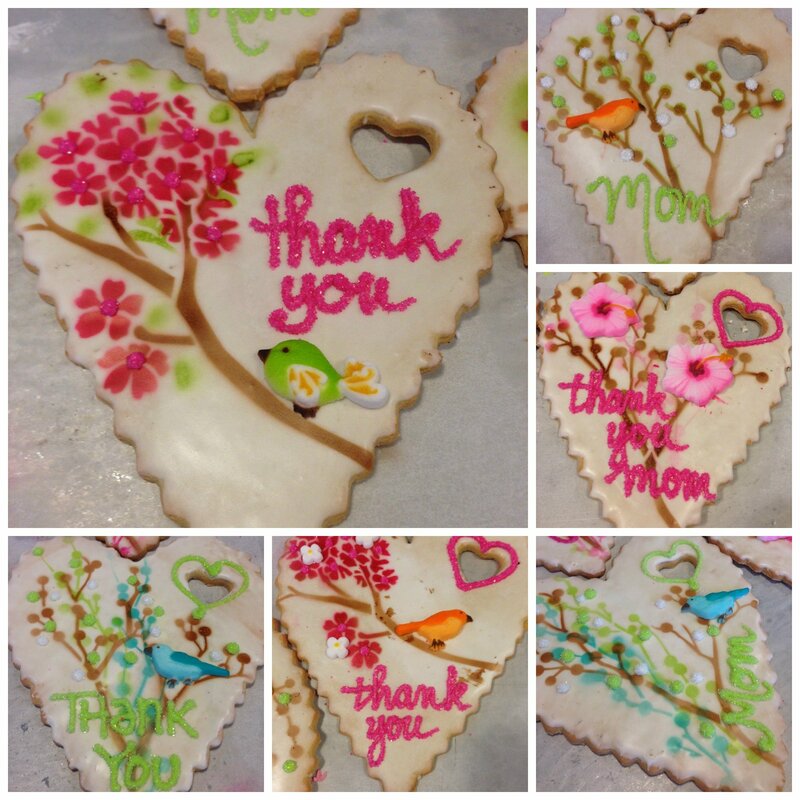 We know that Mother’s Day is an especially important time to say Thank You to Mom. And it can also be a day to give thanks to all of the other influential women in our lives. Here at Josef’s Vienna Bakery, we love creating beautiful and delicious treats for you. It’s a special holiday for us because there are so many of us in the Josef’s Family who are mothers. We were inspired to create some unforgettable cookies. Our Jumbo Heart Cookies were influenced by Sonja’s love of birds. First these sugar cookies are iced with Royal Icing. Then they were airbrushed in layered colors, sugared to add more depth and color to the design, and lastly, we added the little sugar birds. There are some that say Mom, and some that just say Thank You, because isn’t that what Mother’s Day is all about? Our “Heartfelt Thanks” box is a clear, heart-shaped box filled with 2 sugar cookies. We airbrushed them with different designs in pink and green, and finished them with sugared flowers and hand-piped messages. There are designs for Grandmas, new moms, or anybody else you think deserves a couple of cute cookies. 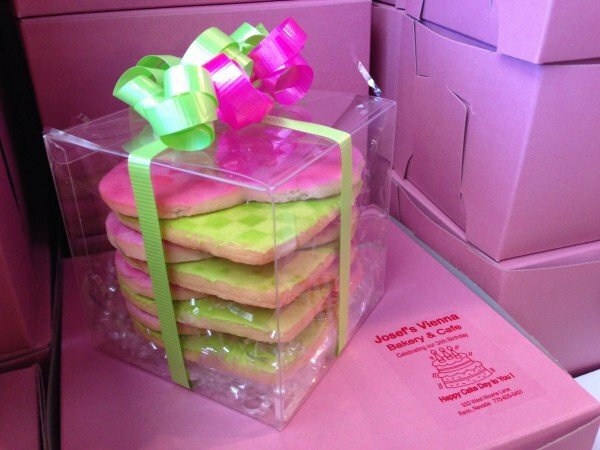 Our “Box of Thanks” is a clear square box stacked high with 8 heart-shaped sugar cookies. 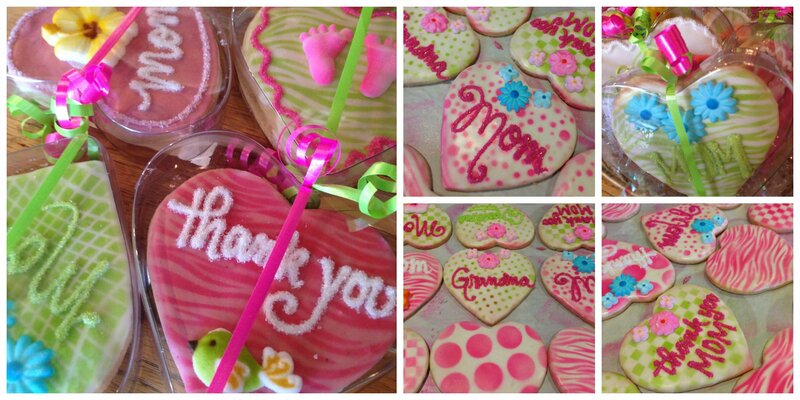 Each cookie is iced and airbrushed. We finish the top with a mass of curls in coordinating colors. NEW!! NEW!! I am so excited for our new French Macaron Boxes. They perfectly fit 4 cookies and have a little window so you can see all the beautiful colors. 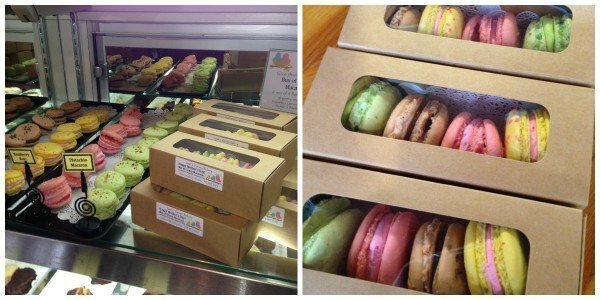 Our Mother’s Day Macaron flavors are Raspberry Rose, Strawberry Lemonade, Pistachio, and Nutella. And don’t forget: our French Macarons are GLUTEN-FREE, so come and pick some up today! If you’ve eaten lunch in our CAFE VIENNA recently, you probably had one of our fabulous Chocolate chip cookies on your plate. If you haven’t, you should stop by and pick up a cute and colorful take-out box packed with 6 of our from-scratch cookies.